CDC: "How Does Blood Flow Through the Heart?" Cleveland Clinic: "How Does Blood Flow Through the Heart?" George Washington University Heart & Vascular: "How Does Blood Flow Through the Heart?" 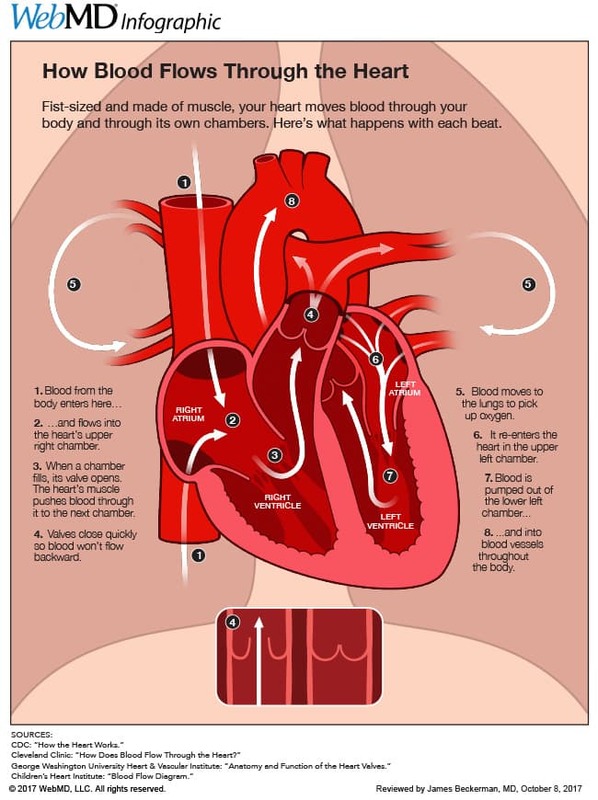 Children's Heart Institute: "Blood Flow Diagram"